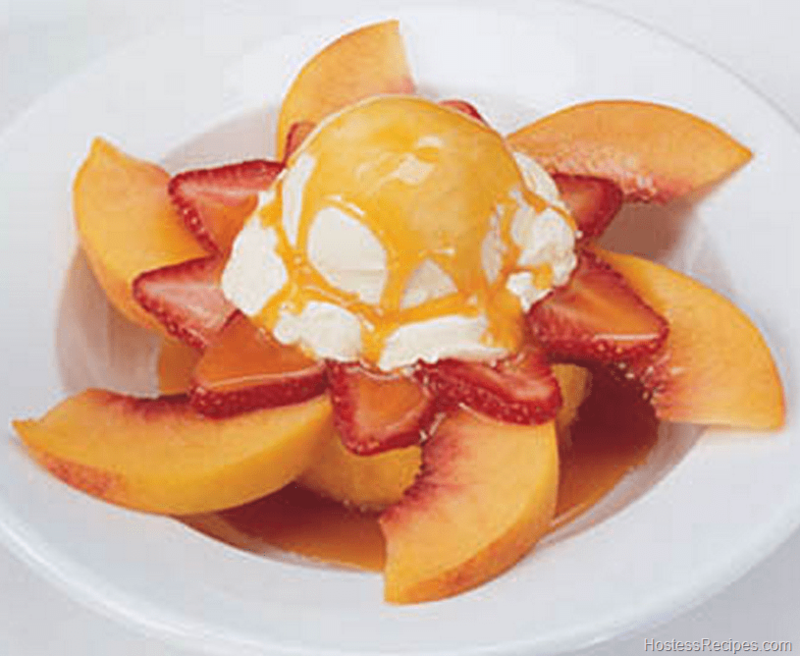 DIRECTIONS: Cut the peaches or nectarines into thin wedges and slice the strawberries. Arrange the wedges on the shortcake cup in a pinwheel-type circle. This will be the rays of the sun. Make a circle of strawberries on top of the rays. Place a scoop of ice cream in the center and drizzle with butterscotch topping.